1 Pouco Mouco: Alegria! Excitação! Folia! Antes de mais, tremenda vénia a quem ouviu e/ou descarregou a emissão anterior. 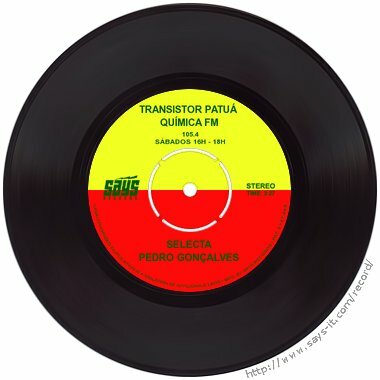 Desta vez não há versão online, mas há riddims non-stop num glorioso alinhamento para ouvir hoje a partir das 16h00 em 105.4 FM. Marcia Aitken: "I'm Still in Love"
Hopeton Lewis: "Boom Shaka Laka"
Denise Darlington: "War No Right"
The Melodians: "You Don't Need Me"
Cornell Campbell: "Ten to One"
Horace Andy: "Babylon You Lose"
Sound Dimension: "Man Pon Spot"
Sly & Robbie: "Stone Age Dub"
The Chosen Few: "Don't Break Your Promise"
George Dudley: "Gates of Zion"
The Slickers: "Johnny Too Bad"
Jackie Mittoo: "Chicken and Booze"
Karl Bryan and The Afrokats: "Money Generation"
Sugar Belly: "Cousin Joe Pt. 1"
Dub Syndicate: "Wake Them Up"
Marcia Griffiths: "Feel Like Jumping"
Carlton and The Shoes: "Love Me Forever"
Johnny Clarke: "Don't Be a Rude Boy"
Papa San: "Give Her The Credit"
Kenny Dope featuring Shaggy: "Gunshot"
In Crowd: "His Majesty Is Coming"
Larry and Alvin: "Your Love"
Oooohhhhh. Ah, parabéns pelo genérico!... He, he!